“Black. All important movies start with a black screen.” This is the first line of The Lego Batman Movie, the spinoff/sequel of the 2014 surprise hit The Lego Movie. The tongue-in-cheek opening is reminiscent of the opening of a similar late-winter release from last year: Deadpool. The Lego Batman Movie is not Deadpool, for obvious reasons, but the spirit of light comic book mockery is the same. 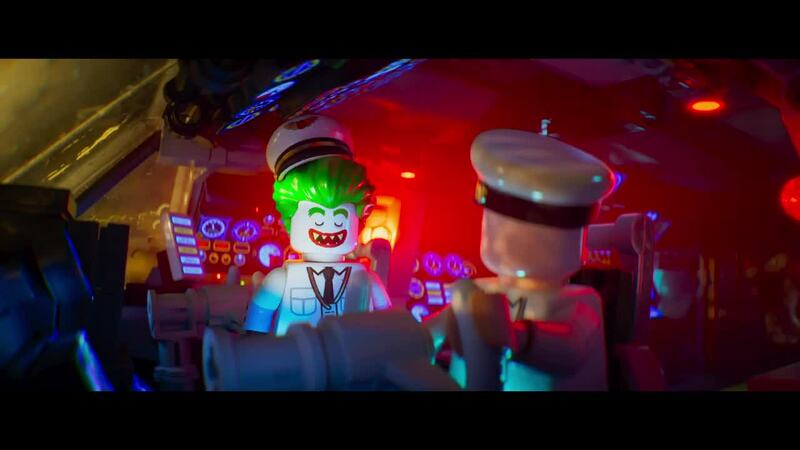 The Lego Batman Movie utilizes an economy of exposition, relying on prior franchise knowledge and in-jokes to set up this plastic DC universe. The Joker (Zack Galifanakis) and a bevy of “C-List” Batman villains have cracked a hair-brained scheme involving the threat of a bomb detonation to wrest control of Gotham. Enter Batman (Will Arnett). But this is not the grim Batman you know and love(? ), although this Batman would be quick to prove to you that he is. Erratic yet distinctly clever, Lego Batman may be a bit too flashy for its own good, inundating the audience sonically and visually. The opening action sequence of the film drops you straight into the action, and it does it with a rapidity that is almost hard to follow. In one sense, this calls for repeat viewings in order to truly capture all of the quick-witted punchlines—Arnett’s Batman is a frenetic ego who never quite knows when to shut up. On the other hand, it makes action sequences too jumbled and, at there worst, downright gaudy. All this aside, Lego Batman is an indelible delight. Stellar scripting and charismatic voice acting lead the charge to make a children’s animated film that is witty and sharp (although perhaps more appealing to the parents than the children). The film also transcends its own juvenile humor with a satirical look at the nature of vigilante loneliness, the thing that both sets superheroes apart and makes them relatable. The film’s humor may be somewhat alienating to non-Batman fans, as the number of in-jokes is quite high. Still, there is enough zany humor to satisfy the average child-parent moviegoing pair. The jumbled nature of the film acts to squander the film’s voice acting talent outside of the leads, and this general messiness can at times come across as sloppy. But the overall experience keeps hold of the whimsical tone of the original Lego Movie, leaving both films with some degree of comedic success.